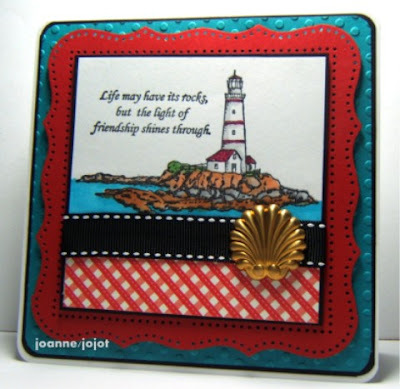 It's Thursday which means it is time for another CCEE Stampers challenge. This week our challenge hostess for the month Shirley Quarry has given us another fun challenge. This is the week we celebrate Columbus discovering America. Make a card with a ship, ocean, Indians or anything that relates to this day. 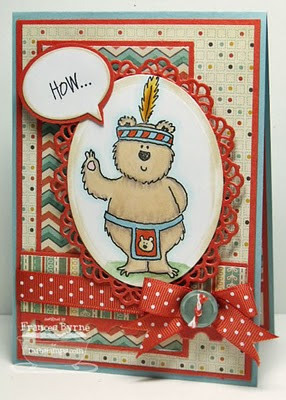 My apologies for those of you who had trouble linking your card to our blog last week. It seemed that our subscription was up with Mr Linky and we hadn't been notified so were unaware of problems until you let us know. We have now changed over to Inlinkz, which will mean that you will also be able to see a thumbnail of the cards other players have linked. If you decide to play along with us, all you have to do is create a card/project and upload it to your blog and/or to your SCS Gallery using the keyword CCEE1141. Don't forget to come back here and link it on Inlinkz so that everyone else can see it too. Wow, fantastic cards! I've been waiting for a challenge like this...really fun, thank you!